The Bedford CA was a distinctive pug-nosed light commercial vehicle produced between 1952 and 1969 by Vauxhall Motors subsidiary Bedford Vehicles, in Luton, United Kingdom. It was manufactured in short-wheelbase and long-wheelbase forms, each form available in either a 1012 cwt or a 15 cwt version. 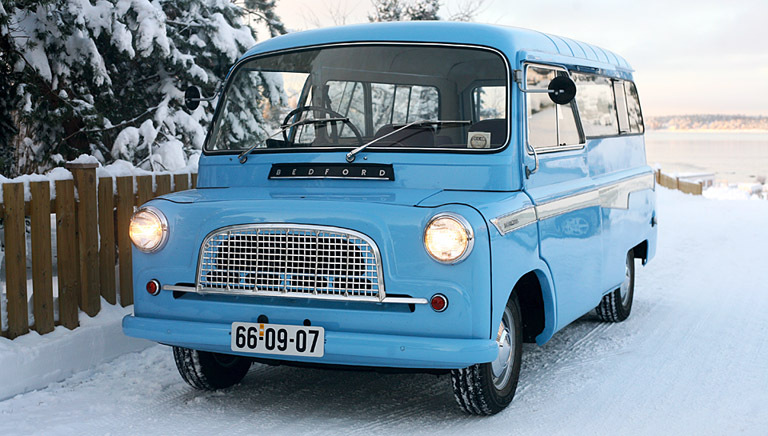 Generally it was supplied as a light delivery van with sliding doors, but it was also available as a chassis with cowl upon which specialist bodywork could be added. for Bedford CA Mk.1 and Mk.2. Covers Bedford CA van, long and short wheelbase, Dormobile, Workobus, Utilabrake, Pickup etc. etc. Scanned and converted to PDF from the original manuals. 337 pages. for Bedford CA Mk.1 and Mk.2. Covers all models. Scanned and converted to PDF from the original manuals. 354 pages. Full professional restorations of Bedford CAs, Morris Minors and other British classics. Need body panels or other parts for the Bedford CA? Contact Adrian Bailey Classics for originals and reproductions. Also stainless steel exhausts and many other parts. To contact me with questions, or to advertise on this site, click here.